The third largest of the Hawaiian Islands, O‘ahu is home to nearly 70% of the entire population (1.3 million) of the State of Hawai‘i. It has been aptly named “The Gathering Place” with Honolulu, the state capital, located on the southeast coast of the island. The symbolic color of O‘ahu is yellow, and the flower is the ‘ilima. It takes hundreds of the tiny fragile blossoms to create a single lei strand, and is known as “the royal lei” since it was once only worn by Hawaiian high chiefs. Although Honolulu is a bustling urban center, the island holds lush rain forests and picturesque beaches where Hollywood filmmakers have flocked to shoot numerous films and television shows. There are 22 Episcopal Churches located on O‘ahu, including the Cathedral of Saint Andrew, the first Anglican Church founded in the mid-1800s by King Kamehameha IV and Queen Emma. Nestled in the heart of downtown Honolulu, it is surrounded by historic buildings such as ‘Iolani Palace, and more contemporary landmarks such as the State Capital Building. The church communities on O‘ahu are as diverse as their neighborhoods. With the continuing influx of immigrants from around the Pacific Basin and beyond, several churches feature special services catering to different ethnic groups, such as Samoan, Micronesian, Filipino, Korean and Chinese. 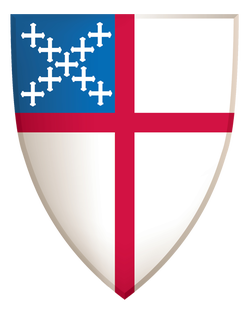 Whether in magnificent historical buildings or a school cafeteria, Episcopalians around the island come together to worship and to minister to their communities in the name of Jesus Christ. For a listing of all churches, including those on O'ahu, please visit the Our Churches page.